It's been said that "wine is bottled poetry", but - as far as we know - there isn't a written poem that you can also drink. This gives wine the clear edge. releasing a heavenly mist of violet and cocoa powder aroma. ripe for the spicy bouquet of deep plum malbec flavors. 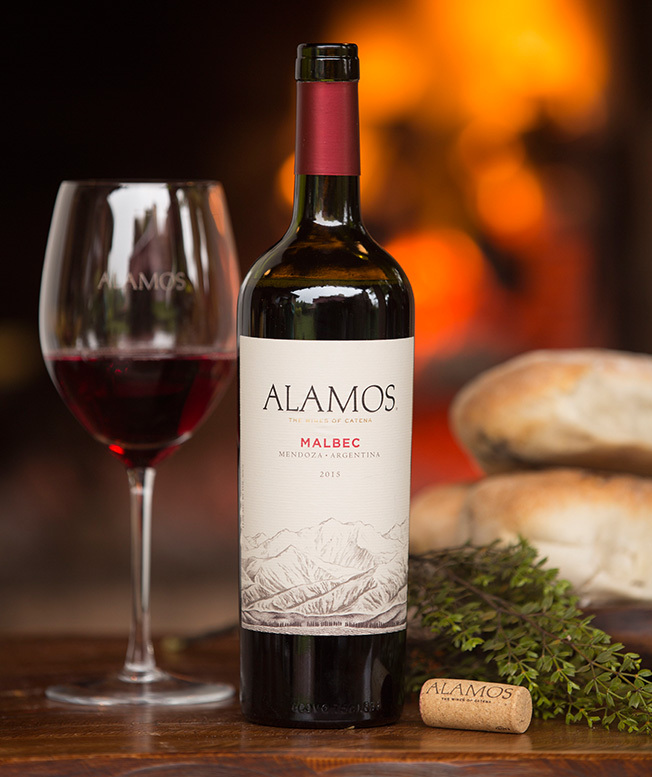 An authentic Argentine wine that thrives in Mendoza’s high altitudes, our Alamos Argentinian Malbec wine blends the deeply concentrated plum flavors of the country’s signature variety–Malbec–with small portions of Syrah and Bonarda to add dark cherry and blackberry flavors. Well-integrated hints of brown spice and vanilla contribute layers of complexity. A full structure, firm tannins and a long finish create an expansive palate that is hard to forget. With crisp, clean air and intense sunlight, growing conditions in Mendoza are truly ideal for Argentinian Malbec.